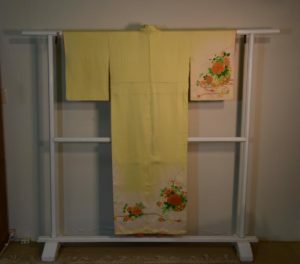 Floral Kimono, fully lined and all hand stitched. In good condition. 1270 mm’s across and 1600 mm’s long. SKU: 13614. Categories: Kimono, New Arrivals, Textiles.